Last week a high school student who attended Samuel L. Wolfson High School in Jacksonville was killed in a traffic accident when he was struck twice while crossing Toledo road. According to a report by Jacksonville.com, the student was first hit by a car driven by another 17-year old student. Afterwards, a utility truck ran over the student’s legs. The case is still under investigation and criminal charges have not been levied against either of the drivers. It may be the oldest means of transportation, but walking is hardly the safest. Across Florida, pedestrian deaths have been increasing for a variety of factors. One reason is that current economic stress and higher gas prices require some people walk, rather than drive. When you are out on the road as a pedestrian, you must take certain precautions to ensure that drivers see you and that you remain out of their way. Below is a list of recommended precautions that all pedestrians should take when out on the roadways. – If possible, walk during the day and opt for public transit options when it is dark. – Make sure to wear bright clothes when walking in low-light conditions. – Walk in a predictable manner. You do not want to surprise a driver by stepping out in front of their car. – Always use sidewalks, if possible. – Cross only at designated intersections where there is a crosswalk. – Make eye contact with drivers as they approach to ensure that they see you. By taking these precautions, you can help to make certain that you are safe while you are walking, whether it be in a big city or a smaller town. With that said, there are some accidents that cannot be avoided by taking precautions. Sometimes, drivers are not paying attention when they drive, are intoxicated, or are otherwise distracted. In fact, several years ago, on Sunbeam Road in South Jacksonville, a young woman was tragically killed when she was struck by a vehicle while she was jogging on the sidewalk. This illustrates that pedestrians are vulnerable even when they are not in, or crossing, roadways. In these cases, the law provides a mechanism for the innocent victims of auto accidents to recover for the costs associated with their injuries, including medical bills and pain and suffering. 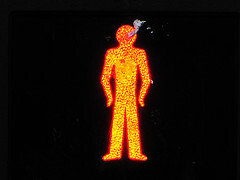 What Should You Do if You Have Been Involved in an Auto-Pedestrian Accident? If you or a loved one has recently been involved in an auto pedestrian accident, it may have been the fault of the driver. As mentioned above, sometimes there is nothing a pedestrian can do to avoid an accident with a car; no matter what precautions are taken. If you think that your injuries may have been caused by another driver’s negligent actions, contact an experienced Jacksonville accident attorney today. With an attorney’s assistance, you will be able to better understand your potential case and which option is best for you and your family.